How big are they? I’m not very experienced myself but I had two of my smaller crabs go down, come up from a molt, and then go down a month later again. My second smallest came up yesterday, with my largest. Smaller crabs can molt more often, I’ve read. This is perfectly normally! A lot of crabs that come from not so great conditions will often pull back to back molts and depending on the size of the crabs, they may molt more often. I have 2 Ecuadorians that I adopted in October that molted for a month or so and they went down again the first week of December. RiNiKy506 wrote: How big are they? I’m not very experienced myself but I had two of my smaller crabs go down, come up from a molt, and then go down a month later again. My second smallest came up yesterday, with my largest. Smaller crabs can molt more often, I’ve read. One of my crabs is the size of a quarter. The other is golf ball sized. ha_haley wrote: This is perfectly normally! 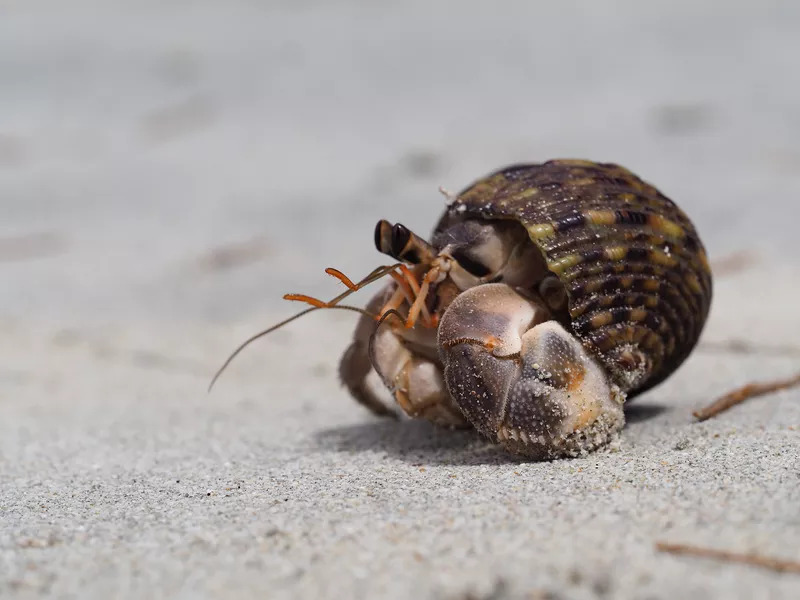 A lot of crabs that come from not so great conditions will often pull back to back molts and depending on the size of the crabs, they may molt more often. Thank you! I am feeling a lot better now! I will put in another vote that this is totally normal behavior. Presuming the conditions they were in before coming to you weren't ideal, and that you conditions are....they have some catching up to do! LOL! Don't dig them up, that could have dire consequences which would cause far more anxiety. As long as your tank conditions are good, they know what they are doing and when they need to molt.